Dressing up in spooky costumes and going trick-or-treating is something that almost everyone looks forward to. Those were some of my best memories growing up. Whether you are going to a fall festival or going door to door there are ways to play it safe and still have a blast. The American Academy of Pediatrics has a wonderful website with Halloween safety tips. Read over it before going out and about with your children. Some of the ways to play it safe are to make sure you wear lighter colors or reflectors so you can be seen in the dark, an adult should always accompany children under 12, stay on well lit streets and only go to homes with a porch light on. When you get home and dump out all the goodies take a look for packages that have been tampered with. It is rare to find one opened but it is always best to take a peek just in case. The City of Locust Grove is hosting a Trunk-or-Treat and Haunted Hayride starting at 5 pm at City Hall. Panola State Park is hosting a Trunk-Or-Treat from 4-6 pm. The cost is $5 to enter and there will be a best costume and best trunk contest. Downtown trick-or-treating on McDonough Square is from 3-5 pm. Fear the Woods at the Yule Forrest in Stockbridge has a haunted house, hayride, zombie paintball and several other spooky things. The cost is $15 for adults and $12 for children from 7:00 pm-12:00 am. Halloween Night on Callanwolde Mountain featuring Legoland Discovery Center. Door to door trick-or-treating throughout the estate, lego building tables, food trucks and many more fun things. Entry is $5 per person from 6-9 pm. Fernbank Museum is hosting Martinis and IMAX-Fright Night for adults only. 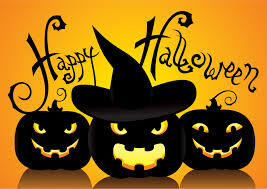 Storage World wishes you a safe and Happy Halloween! We would love to see pictures of your costumes. Please share them below or on our Facebook page!